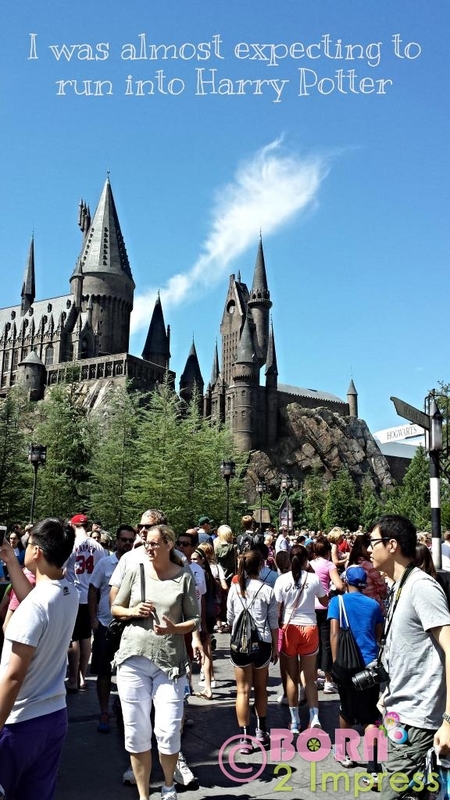 Universal Orlando is a must visit this summer! 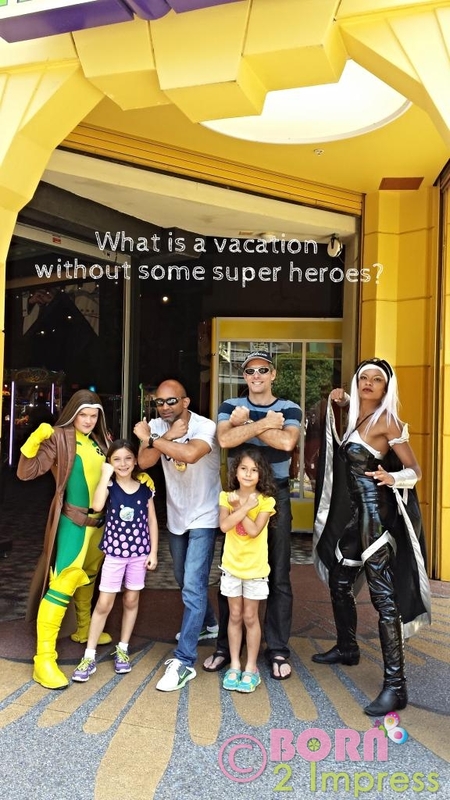 We had a Great Time at Universal Orlando this Summer! I received complimentay tickets for this review. I was not financially compensated for this post . My opinions are my own and not by any means influenced by any other part. 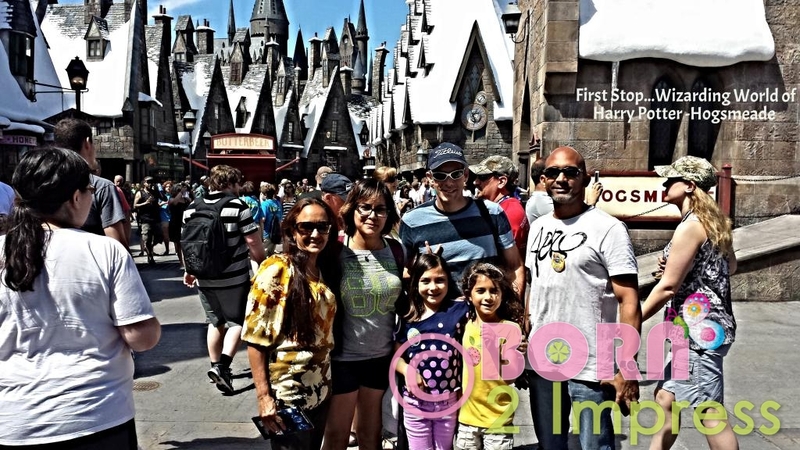 Jaw dropping, adventure filled, and lots of fun is exactly what we had when we visited Universal Orlando and Islands of Adventure a few weeks ago…Both parks have all you need for an unforgettable day and we decided to take my daughter there to celebrate her 7th birthday. We turned this trip into a short family vacation and spent the weekend in Orlando at the new Cabana Bay hotel ( I will tell you more about the hotel later). 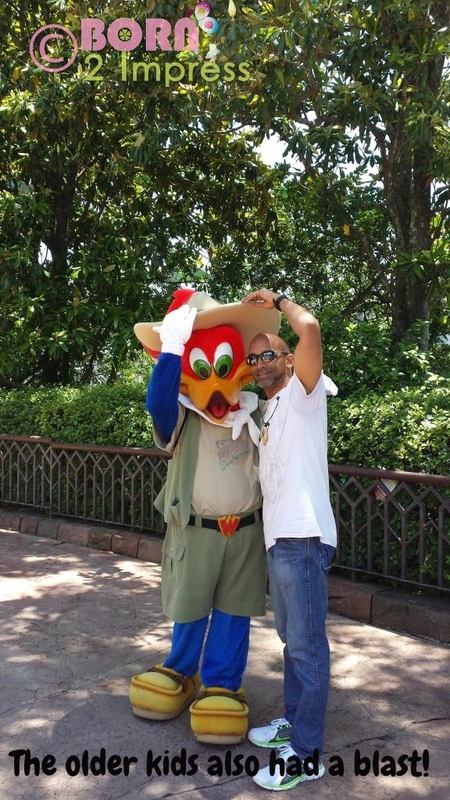 We arrived at the park and started our day at Universal Islands of Adventure and met with one of the best PR. Relations person in the world (thanks misses MB for such a great time)! We were lucky enough to spend some time with one of the park PR representatives and learn some really interesting information about some of the many great rides in the park…. Did you know that there is a family room attached to the Harry Porters’ Wizarding World of Harry Potter -Hogsmeade – Harry Potter and the Forbidden Journey ride and if your party has kids that are not yet allowed on the ride, one of the parents can stay in this room and wait for the other parent to come back and then the second parent can go on the ride without having to wait in line again…Pretty neat , don’t you think? In addition, for the thrill ride where the little ones may be too short (i.e. Harry Potter and the Forbidden Journey), Universal offers height certificates so if your little one is too little for the ride, you can get this certificate that will allow him or her to get on the ride once they are tall enough without having to wait in line…Again pretty neat! Harry Potter and the Forbidden Journey™ ride was the first ride we went on. Our group was composed of six people ranging in age from 7 to 62 ( my mom was with us). Everybody loved and enjoyed the ride and as you can see our group was very diverse. Be prepared so you not miss any of the fun. There are so many incredible rides that it is really hard to pick a favorite so you are better off planning ahead for the rides you do not want to miss and if you are one that gets dizzy easily, I would recommend something to keep you from getting sick as you do not miss on the fun! There is a ride for everybody! Well there is something for everybody, I especially enjoyed the 3D Spiderman ride, my husband and brother enjoyed the Incredible Hulk coaster, the girls loved the Cat in the Hat and my mom, well she really enjoyed rides that honestly I was surprised she did. Then there is even more rides and attractions. As you probably know, you can walk your way from Islands of Adventure to Universal Studios and we did not want to miss the rides there either so we found our way to Universal and the different rides in the park like the Transformers 3 D ride that is simply amazing and very thrilling! While in Hogsmeade park, make sure to treat yourself to a butterbeer (non-alcoholic – good for the whole family)…And a little note, if you buy the deluxe souvenir cup, you can refill it all day long for only a $1.00 per refill, you do pay a bit more for it than if you just bought a disposable cup, but you get your money worth in just a couple of hours and you get to take home a neat keepsake! After hitting as many rides as we could in the Islands of Adventure Park, we went towards Universal Studios so we could get on some of their rides there also! Again, it was really hard to pick a favorite, but among the rides all family members liked were without a doubt the Transformers ride ( my brother was a huge fan of the original transformers when he was a kid), this ride is just AMAZING, so he was in seventh heaven when he got on this ride. The rest of the group also enjoyed the ride and yes that included 2 seven years old girls and my 63 years old mom that is usually not into any sci-fi, but loved the thrill and concept of the very realistic ride that will keep your adrenaline pumping the whole time you are on the ride. 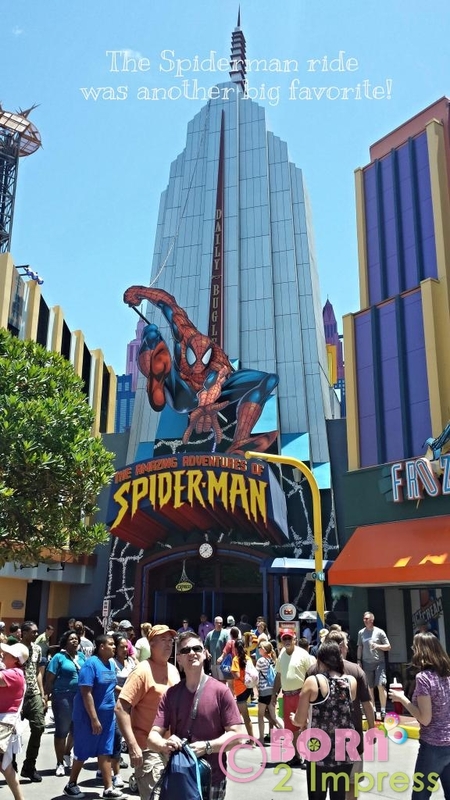 A similar type of 4D ride that has long been a favorite of my husband’s is Spiderman, a long standing ride at Universal that he made all of us ride, and we enjoyed. 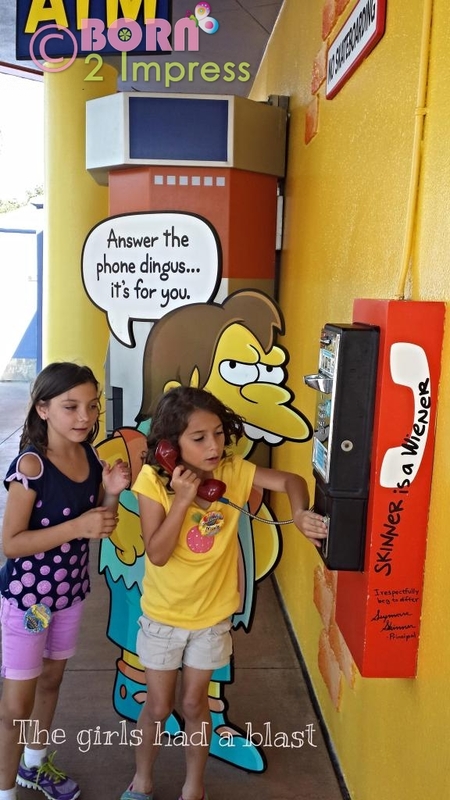 Another ride that you need to add to your list of must do is the Despicable me ride that is super funny, very cute and thrilling at the same time. Needless to say, the girls loved it…And so did the grownups in the group. Both Transformers and Despicable Me are are among the newest rides, but do not forget the old timers like Men in black ( a personal favorite), in which you can help the Men in Black agents to get rid of those pesky aliens and see who gets the highest score in the family! We spent a whole day in both parks, but I would highly recommend trying to visit a park a day so you can get on as many rides as you can and enjoy the different attractions and different things throughout the parks like the many different characters that walk among us! 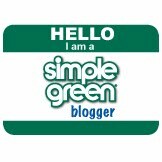 If you are short on time, or are the type that doesn’t like to wait in lines (and who does?) then I would recommend to you to add a “express pass” to your ticket. This is supposed to cut the wait time for the lines in half, but I must say that we used the express pass and I think the time savings was even greater. I don’t think we ever had to wait in line longer than 10-15 minutes using our express pass. By utilizing the speed pass, it is the sole reason that we were able to explore both parks in the same day. Another good tip for those visiting Hogsmeade is where to buy your Butterbeer. There are usually 2 locations on the street where they sell it and the line can be quite long and you are waiting in the hot sun. What we learned is that by going into The 3 Broomsticks, we were able to walk straight up to the bar in this rustic tavern and order our Butterbeers right away. Not only that, but if you want to sit down and have a bite to eat you can enjoy some air conditioning and take a break from the sun. 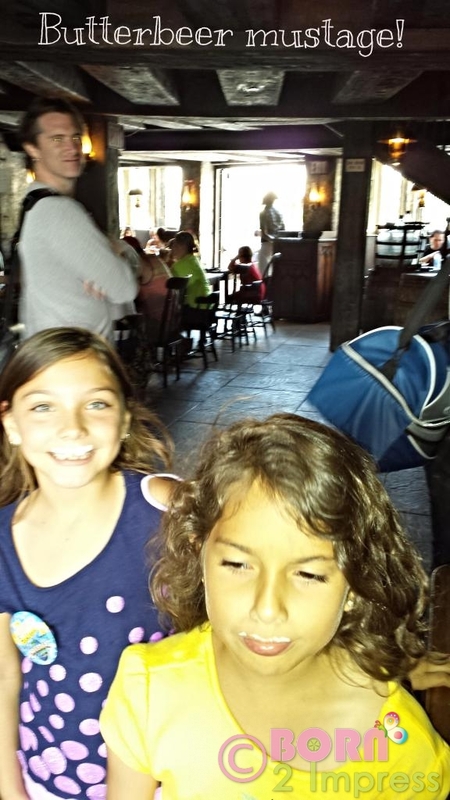 With a couple of 7 year olds, and my husband who read all of the books, I think it goes without saying that our favorite place and one that must not be missed is The Wizarding World of Harry Potter – Diagon Alley and its marquee attractions. Plus don’t forget that Harry Potter and the Escape from Gringotts is going to be open soon and you do not want to miss it…I know I don’t. Can I tell you again what a great time the whole family had? We all loved it and we are anxiously awaiting our return trip. 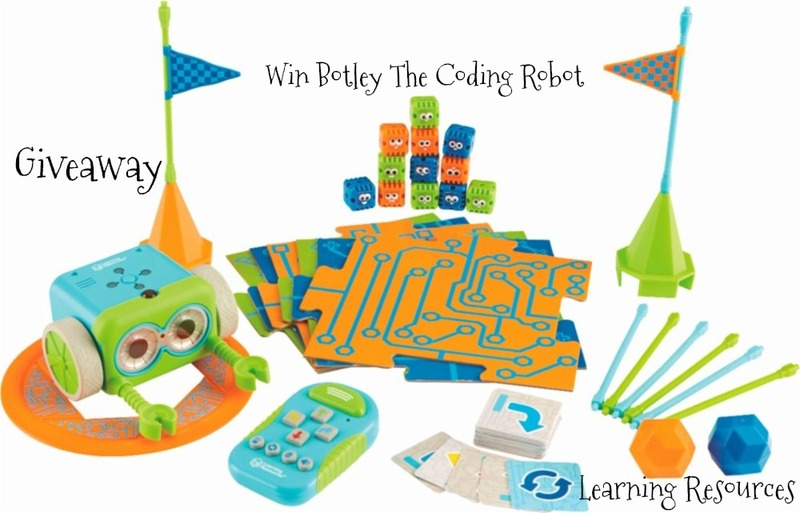 Check their website for deals and Florida resident’s discounts! You can find Universal Orlando on Facebook, Twitter and Instagram!